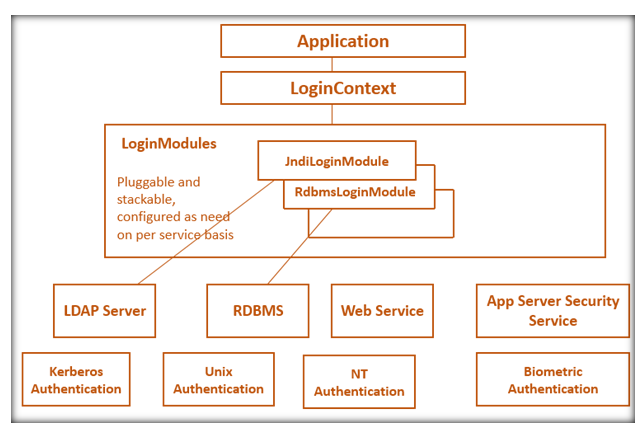 A map in Java is an object that stores the data in between keys and values or key/values pairs. Keys and values both are objects. A map contains unique key but values may be duplicated. There is one key point about maps that are important to mention at the outset; they don't implement the collection interface. The map interface maps the unique key to values. A key is an object that is used to retrieve a value at a later date. If you have a key and a value then you can store the value in the map object. After the value is stored, you can retrieve by using its key. 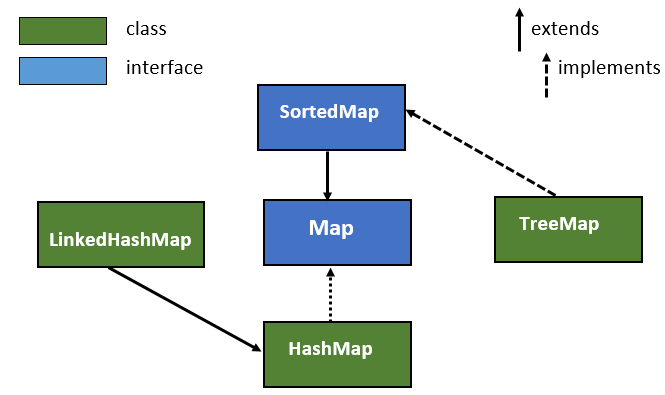 There are two interfaces for implementing a Map in Java these are Map and SortedMap, and three classes these classes are HashMap, LinkedHashMap, and TreeMap. 1. A map of pin code and cities. 2. A map of student roll no: and student marks. 4. A map of universities and professors. 1. void clear(): This method is used to removes all the key/values pairs from the invoking maps. 2. boolean containsKey(Object k): This method returns true if the invoking map contains k as a key. Otherwise, it returns false. 3. boolean containsValue(Object v): This method returns true if the invoking map contains v as a value. Otherwise, it returns false. 4. boolean equals(Object obj): This method is used to compare the specified object with the map. 5. V get(Object k): This method returns the value associated with the key k and it returns null if the key is not found. 6. int hashCode(): This method returns the hashcode of the invoking maps. 7. boolean isEmpty(): It returns true if the invoking map is empty. Otherwise, it returns false. 8. V put(key K, value V): This method is used to put an entry in this map. 9. void putAll(Map map): It is used to insert the specified maps in this map. 10. V remove(Object k): This method is used to removes the entry whose key equals to k.
11. int size(): This method returns the number of key/value pair in the map. 12. Set keySet(): This method is used to returns the set that contains the keys in the invoking map. 13. Set entrySet(): This method is used to returns a set that contains the entries in the map. 14. Collection values(): This method is used to returns a collection containing the values in the map. /*returns true if the invoking map contains k as a key. /*returns true if the invoking map contains v as a value. //removes the entry whose key equals to k(105). //returns the hashcode of the invoking maps. //removes all the key/values pairs from the invoking maps. How to remove a specified element in the ArrayList?